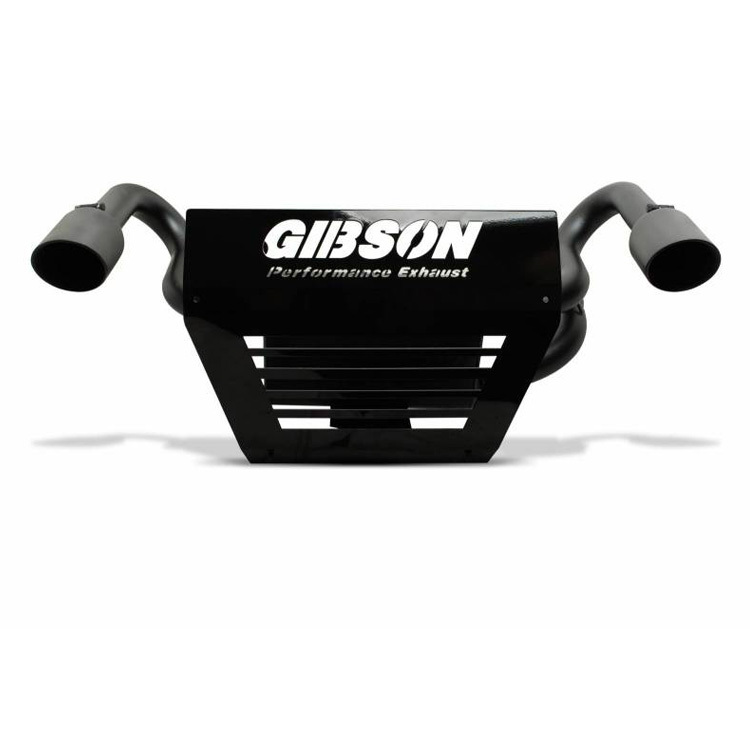 Compliment your Polaris Ranger RZR XP 1000 with our Gibson Performance UTV Dual Exhaust for 2015-16 Polaris RZR. 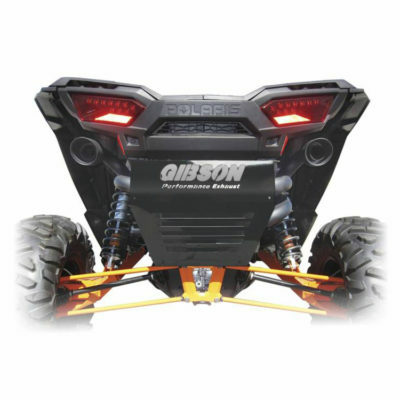 In fact, get an extra increase of 2-4 rear wheel horsepower, 3-5 more foot pounds of torque! 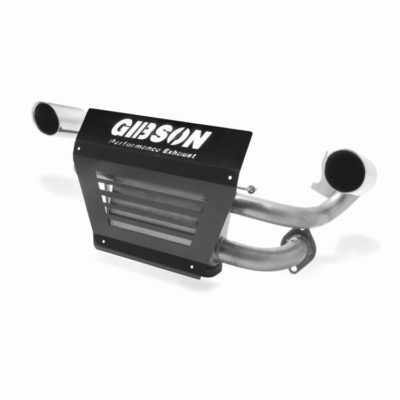 Gibson’s non-packed mufflers in particular guarantee a consistent level of sound and performance quality for the lifetime of your vehicle. Moreover, utilizing a compression spring fitting allows for plenty of movement; consequently handling all types of abuse and eliminating the possibility of breakage. Finally, these exhausts are finished with a personalized black powder coated rear beauty plate and black Ceramic 4-inch intercooled tips. Of course, all necessary hardware is included to ensure a complete hassle free bolt on installation. In fact, this Gibson Exhaust was tested with a decibel reading of 96 db’s according to the SAEJ 1287 testing procedure. Also includes a USFS Approved Spark Arrestor. 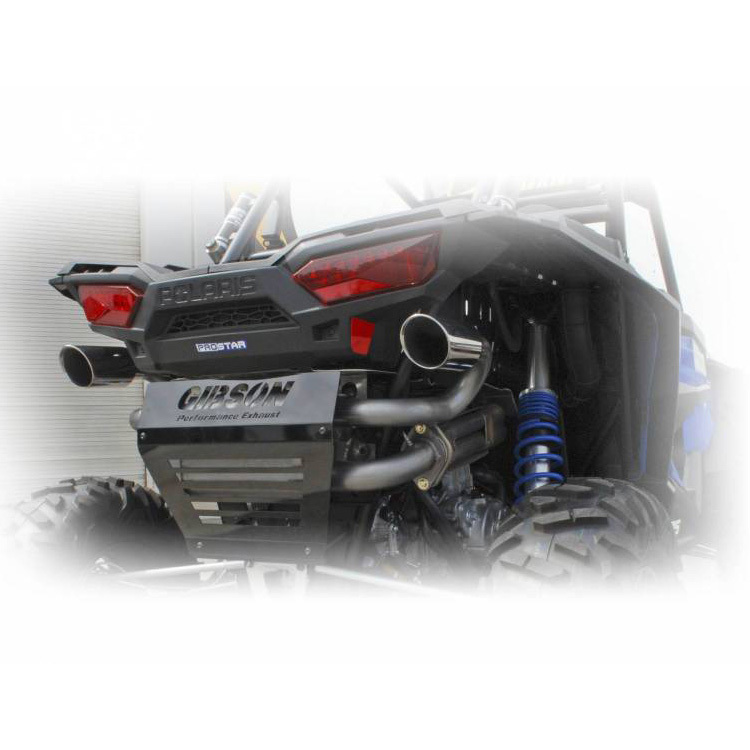 Tip Description: 4-in Black Ceramic Intercooled Exhaust Tips. Muffler Description: Gibson Muffler features a louvered & chambered design, no internal packing. Additional Description: USFS Approved Spark Arrestor.